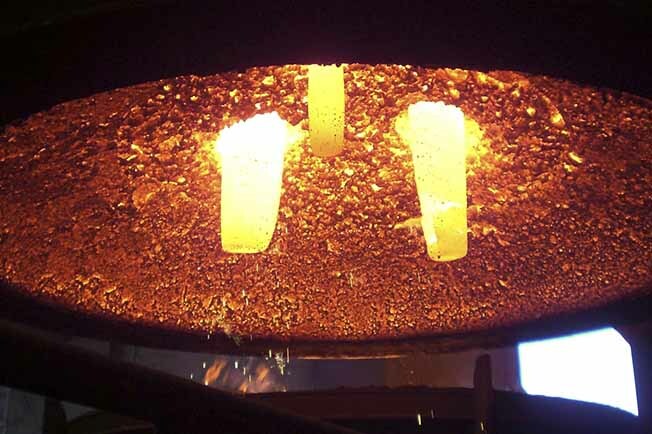 Monolithic refractory structure for closing the electric arc furnace during steel melting operation. Roofs up to 3.5 m diameter and 10 t weight. Multilayer design in different refractory qualities to optimize performance and cost of the roof. Adaptation to existing installation and roof steel shell. Flexible positioning of holes for electrodes and introduction of fluxes. Do you need more information about Electric arc furnace roof or about other products or services? Send us your details and we will contact you.